Now that you’ve spent a few days with your Playstation 4, you likely realize how quickly your hard drive will fill up. While your hard drive will feature 500GB, now all of that space will be usable for your personal use. Just like the Playstation 4, however, installing a new hard drive in your PS4 is a very simple process. 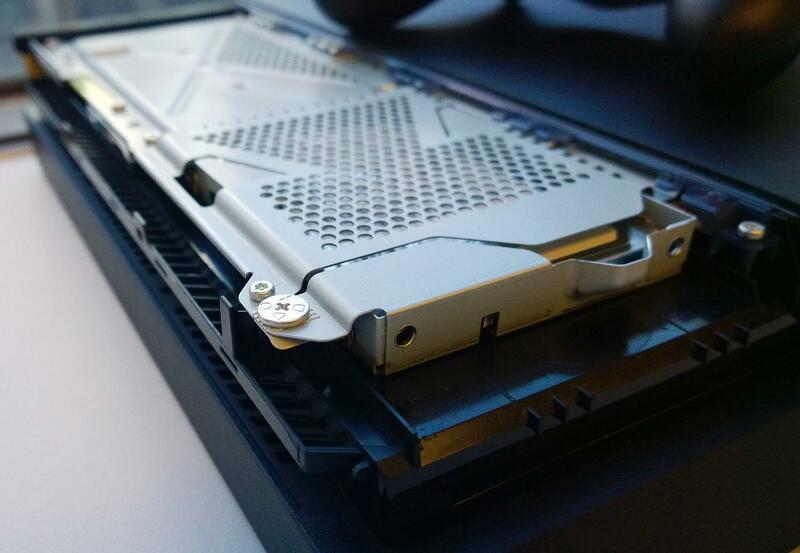 After removing a piece of the Playstation 4’s exterior, you’ll be able to access the system’s hard drive bay. You’ll need a screw driver to remove a few screws to access the hard drive. The video that we’ve included below gives you a step-by-step look at the process, as well as what you’ll need to do in order to properly format your PS4 hard drive. What size hard drive are you planning to put into your Playstation 4? What games have you installed that are eating up your hard drive space? Be sure to let us know what you think by leaving us a comment below, or continue the discussion on Facebook and Twitter. i have heard some claim that if you upgrade your hardrive on your ps4 that it will void the warranty on the ps4. is that true or not ? i kinda wanna know before i do it! No its not true its a supported activity by Sony.